Suzzed out Swedes Salem’s Pot have opened up orders for the 2-track vinyl release of their most recent EP, released in digital format this Halloween. The record is available in a number of physical versions; test pressing, black vinyl, and clear vinyl. To order one up, head over to their label, Riding Easy’s online shop. The Vampire Strikes Back will see its hard copy release on Christmas Day. 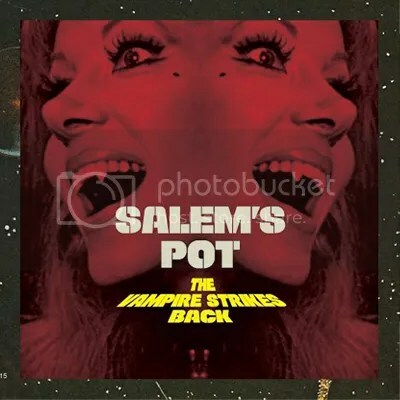 This entry was posted on 11th November 2015 at 10:37 am and is filed under News with tags EP, Pre-order, salem's pot, the vampire strikes backs, Vinyl. You can follow any responses to this entry through the RSS 2.0 feed. You can leave a response, or trackback from your own site.